Be one of the very few that will get in on this first Edition Gil Hibben Sword Cane. The knife master Gil Hibben unveils his first-ever custom designed sword cane. 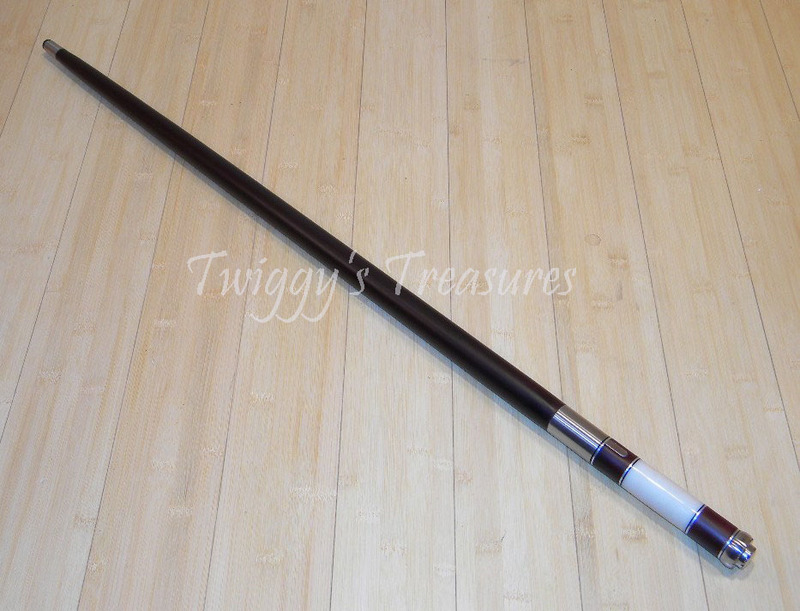 Features 36 1/2" wooden shaft with an imitation ivory and wood grip. A 14 3/4" morror-polished AUS-6 stainless steel tanto blade snaps into the shaft and releases with a blade release mechanism built into the handle. The file-worked stainless steel head offers a great grip but can also be used as a club for defense. 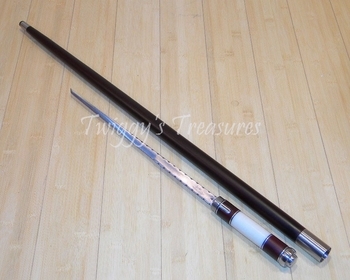 This fine sword cane is another item produced by United Cutlery. Hibben Knives is also etched into the blade of the sword cane! Another fully licensed reproduction of an original Hibben Custom Cane design. Weight of this sword cane in the box is 1.5#. ▪ Overall Length: 36 1/2"
▪ Blade Length: 14 3/4"